I got myself 4 products: RIRE All Kill Blackhead Remover Stick, Onsaemeein Magic Solution Powder, Laneige Sleeping Mask and Innisfree No-Sebum Mineral Powder. I will review some of them in details after using them for a few weeks to see if they work like its intended. Nevertheless, here's a preview on each of the items that I bought from Althea and my first impressions on them. 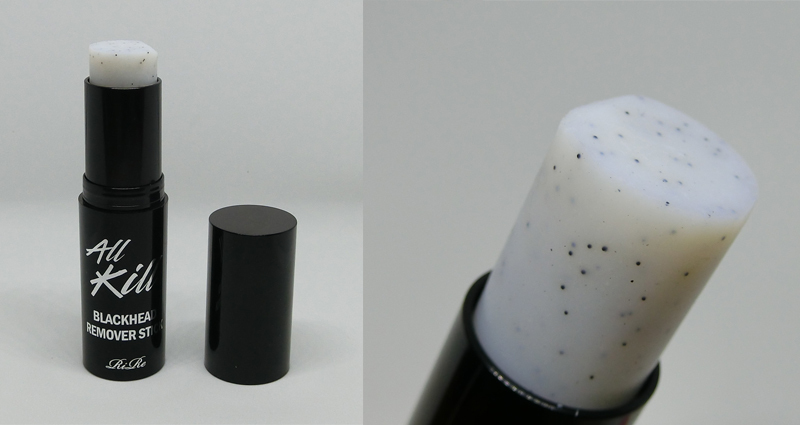 RIRE All Kill Blackhead Remover Stick helps to remove blackheads, whiteheads and dead skin cells in pores. Salicylic Acid helps to remove the dead cells and dissolves sebum in the pores. It also help to prevent skin irritation. Witch Hazel Extract helps to sooth and protect the skin. It is also helps to keep the skin smooth. I seen this being advertised on Facebook and my impulse buy for this product is high! I'm fascinated with the application. Majority of the skin care will require the content to be mixed well but not for this one. The liquid and the powder must be separated before dipping the cotton bud to the content and apply it on the skin. I don't see an immediate effect on the first application, so let's wait for a few days to see if this works. RM 33 after discount. RM 67 for normal price. 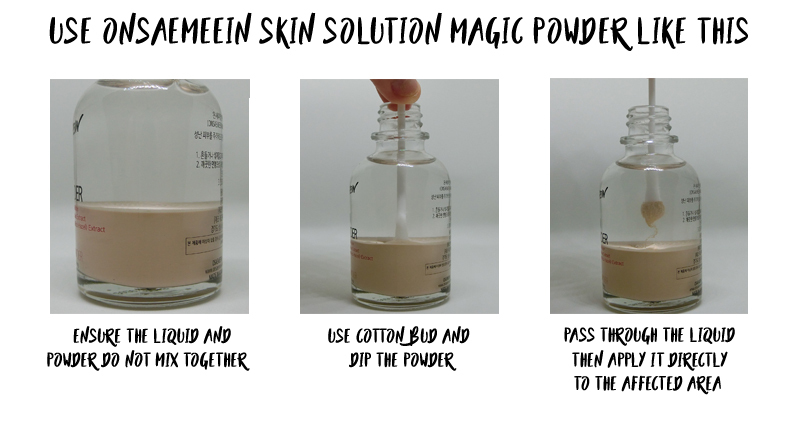 Onsaemeein Skin Solution Magic Powder suitable for those with skin trouble, acne and blemish skin. 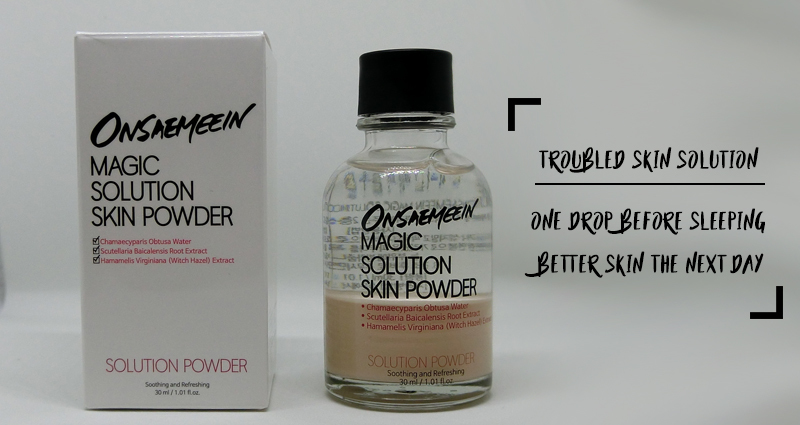 Apply one drop before bedtime will help to sooth the skin trouble. RM 32 after discount. RM 133 for normal price. 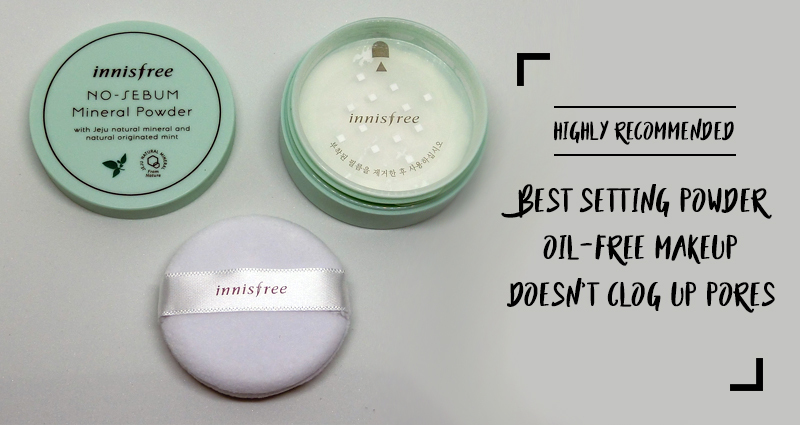 Innisfree No-Sebum Mineral Powder infused with Jeju's natural minerals and natural organic mint extracts to balance out the oil-to-moisture balance of the skin. It is also free from Parabens, artificial colorings, animal products, minerals and artificial fragrances. RM 19 after discount. RM 39 for normal price. 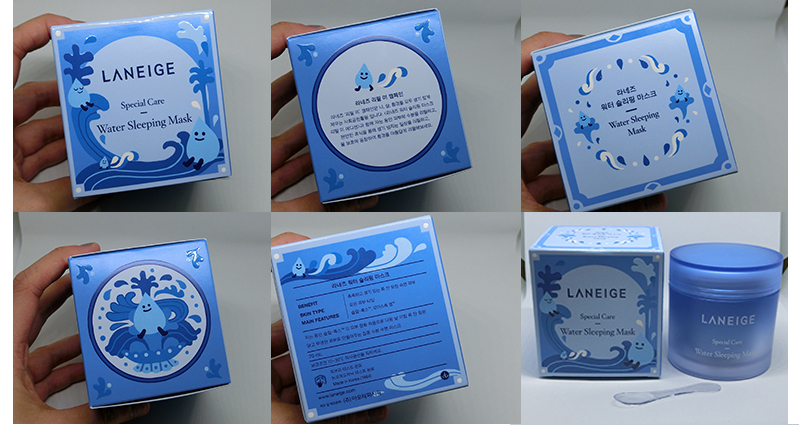 Laneige Water Sleeping Mask Special Care is an improved version of sleeping mask and is formulated with Hydro Ionized Mineral Water to deliver intense doses of moisture to stressed, parched skin. Zinc, Manganese, Magnesium, Sodium, Calcium and Potassium are ionized and stabilized in water to penetrate quicker and deeper into the skin. The Natural Moisturizing Factors (NMF) helps to circulate and retain long lasting moisture to the skin. This technology helps to lock in active ingredients and mineral water to form an 8-hour time-release moisturizing later over skin. Calm skin from damage that skin suffers during the day. Purity the skin with Antioxidant-rich Hunza Apricot and Evening Primrose. Relaxes and comforts skin with orange flower, rose and sandalwood. RM 77 after discount. RM 115 for normal price. Althea Korea Turns 2 Birthday Celebration!